It is perhaps true that more misinformation is published about red meat than any other food product. Almost every day we hear new information about the nutritional value and health effects of eating red meat. Far from creating a consensus, much of this information is contradictory in nature, and just serves to confuse us further. As a practical matter, people just want an answer to this one question: “Is eating red meat good or bad for you?” Like many important questions, there seems to be no easy answer to this one, but there is a short one. If eaten in moderation you will be just fine consuming red meat. The difficulty in obtaining one perfect answer to this question relates to the many different factors that determine exactly what the red meat in question actually consists of. Just about anyone who thinks of red meat almost always without exception automatically think of beef, but beef is only one kind of red meat in this family of foods. There is more to red meat than just beef. Joining beef in this culinary class are bison, lamb, sheep, goat, many other forms of game, and even ostrich, which is becoming more and more popular. When it comes to eating red meat it, is probably quite true for you that you can stop worrying about it unless of course you are eating too much of it, and not enough other healthy foods such as fruits, vegetables, whole grains, seafood, nuts and eggs. We should think of this matter as more of a lifestyle issue than a food group issue. In addition, it is important to know that not all red meats are the same. In the United States, much of the beef we consume comes from corn-fed livestock raised on commercial feedlots. This is not true in every country, and there are places in the U.S. where you can buy grass-fed beef products, which some people consider healthier to eat. In addition, a lot of the U.S. domestic beef production goes to the fast food industry to make America’s favorite food — the hamburger. When it all boils down to needing to know if this is good for us or not, the important thing to remember is that we do have choices. – Red meat is good source of iron. It contains higher levels of iron than almost all other foods, and the human body is able absorb iron easier from red meat than it can from plant sources. – Zinc is a critical mineral for maintaining healthy skin. Zinc can even prevent colds, flu and certain other infections. Red meat is a very good source of zinc. – Protein is needed for muscle growth. 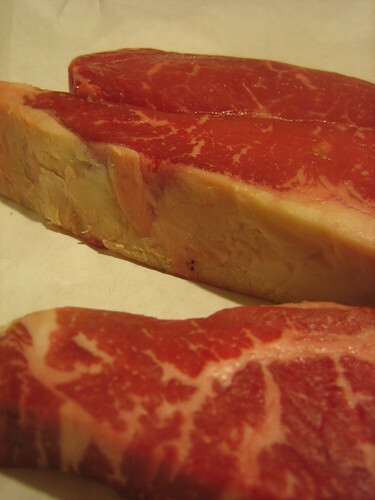 The protein provided by red meat is regarded as a “complete” protein. It has all the fatty acids the body needs to build muscle. – Too much red meat in the diet can have a negative impact on the health of our bones. Digestive proteins used to break down red meat in our bodies leaves behind acid in our cells. The body needs to offset with a high PH mineral solution, and to do that it takes minerals from our bones. – The three most popular red meats consumed in the western world are beef, pork, and lamb. Lamb turns out to be the fattiest of the three, and pork surprisingly is the leanest. Overall, beef it seems is the most nourishing of the group. Guest post by ezCater.com. The easiest, most reliable way to find and order Detroit Catering. 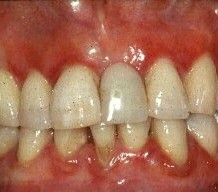 Simple Treatment Of Gum Disease!